You may have tasted the refreshingly mild flavor of lemongrass, a herb that’s commonly added to foods and beverages. But have you ever tried using lemongrass oil, an all-around herbal oil with many health benefits? Keep on reading to discover more about lemongrass oil. Lemongrass (Cymbopogon) is a tall perennial plant from the Poaceae grass family, which thrives in tropical and subtropical regions, such as in India, Cambodia, Malaysia, Indonesia, Sri Lanka, China, and Guatemala. This plant grows in dense clumps and has bright-green, sharp-edged leaves, similar to grass. Lemongrass is a popular flavoring in Asian cooking – added to curries and soups, or paired with beef, fish, poultry, and seafood. Fresh lemongrass is also used to make lemongrass tea. There are over 50 varieties of lemongrass, but not all are edible or ideal for medicinal purposes. The two varieties of lemongrass most popularly used today are Cymbopogon citratus and Cymbopogon flexuosus. While they can be used interchangeably, especially for making lemongrass oil, C. citratus is more popularly known in culinary applications, while C. flexuosus is more dominant in industrial applications, such as perfumery. Lemongrass oil is extracted from the leaves of the plant. It has a thin consistency and a pale or bright yellow color. It has a strong, fresh, lemony, and earthy scent. Lemongrass oil is a great addition to various skin care and cosmetic products, such as soaps, deodorants, shampoos, lotions, and tonics. It also works as an air freshener and deodorizer, especially when blended with other essential oils like geranium or bergamot. Simply put it in an oil burner, diffuser, or vaporizer. Lemongrass oil is also known for its ability to repel insects, such as mosquitoes and ants, due to its high citral and geraniol content. Spray it around your home, diffuse it, or rub a diluted mixture on your skin. Lemongrass oil’s refreshing scent makes it a valuable aroma therapeutic oil. It’s clean and calming aroma helps relieve stress, anxiety, irritability, and insomnia, and prevent drowsiness.Lemongrass oil can also help relax and tone your muscles, as well as relieve muscle pain, rheumatism, period cramps, stomachache, toothache, migraines, and headaches. Make a refreshing foot bath. Add two drops to a bowl of warm water, and soak your feet for 10 minutes. If your feet are aching, add two tablespoons of Epsom salts. Make a massage oil by mixing it with sweet almond or jojoba oil. Kill your pet’s fleas and lice by spraying diluted lemongrass oil all over his coat. You can also soak his collar in it, add it to his final rinse after shampooing, or spray it on his bedding. Blend it into your favorite bath products or add it to your bath water. The main compounds of lemongrass oil are geranyl acetate, myrcene, nerol, citronellol, terpineol, methyl heptanone, di pentane, geraniol, neral, farnesol, limonene, and citral. These are known to have anti-fungal, antiseptic, insecticidal, and counter-irritant properties. Inflammation – Lemongrass is an analgesic that can help reduce pain and inflammation, which can lead to many chronic diseases. According to a 2005 study by Dr. Sue Chao, lemongrass oil is one of the top six essential oils with anti-inflammatory properties. Hair problems – If you’re struggling with hair loss, oily hair, and other scalp conditions, lemongrass oil may be beneficial as it can help strengthen your hair follicles. Just apply a diluted solution onto your scalp, and then rinse out. Infections – Lemongrass can help kill both internal and external bacterial and fungal infections, such as ringworm and athlete’s foot. In a 2008 study from the Weber State University in Utah, it was found that out of 91 essential oils tested, lemongrass ranked highest in inhibitory activity against methicillin-resistant Staphylococcus aureus (MRSA) infection. Digestive issues – A diluted lemongrass mixture helps facilitate nutrient assimilation and boosts the functioning of the digestive system, which is helpful for treating bowel problems and digestive disorders. It also prevents the formation of excessive gas and increases urination, which helps eliminate toxins from the body. Get two lemongrass stalks and remove the leaves. Crush the stalks using a mortar and pestle (or any heavy object) to release the oil. Fill a jar with your carrier oil of choice and put the crushed stalk in it. Leave the jar for two days in a place where it can get plenty of heat and sunshine. After two days, strain the oil using the cheesecloth and transfer it into another jar. Make sure to press and squeeze the stalks until they’re completely dry. You may need to repeat the process using fresh new stalks to achieve the desired lemongrass fragrance. Just keep replacing the stalks every two days to increase the oil’s potency. Once you’ve reached the desired fragrance, transfer the oil into a dark glass container and leave it in a cool, dry and dark place. You can use this oil for a year or more. Lemongrass oil can be diffused using a vaporizer, inhaled, applied topically, or ingested. To ensure the efficiency of lemongrass oil, you should use it depending on the health condition that you want to improve. For example, if you want to quell stress and anxiety, diffuse the oil using a vaporizer. But if you want to relieve muscle pain or use it to treat infections, it’s better to massage a diluted solution in the affected areas. For internal health ailments, such as digestive issues, lemongrass oil can be taken internally in a diluted form. However, I do not recommend taking this oil orally without the supervision of a qualified healthcare provider. Lemongrass oil is generally safe as long as it is used in small quantities (it is one of the strongest-smelling oils in aromatherapy) and properly blended with a carrier oil. Undiluted lemongrass can actually burn and injure your skin due to its high citral content, so it’s best to mix it with a carrier oil. 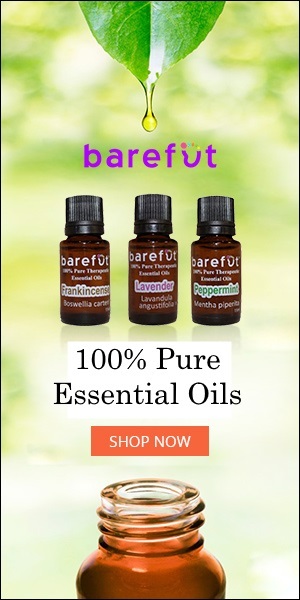 Some of the best carrier oils you can use with lemongrass oil are basil, palmarosa, vetiver oil, lavender, rose, clary sage, patchouli, ginger, fennel, geranium, sandalwood, and cedarwood. I advise doing a patch test before applying lemongrass oil on your skin, to see if you have any adverse reactions to this essential oil. Skin irritation, discomfort, rashes and a burning sensation are some topical side effects experienced by people with sensitivity to lemongrass oil. Using the oil may also lead to lowered blood glucose, and may have contraindications for people who are taking oral diabetes drugs or antihypertensive medications, as well as those who are diabetic and hypoglycemic. I do not recommend children, pregnant women, and nursing moms to use lemongrass oil orally. Those with liver or kidney disease and other health conditions should also consult their physician before using lemongrass oil.